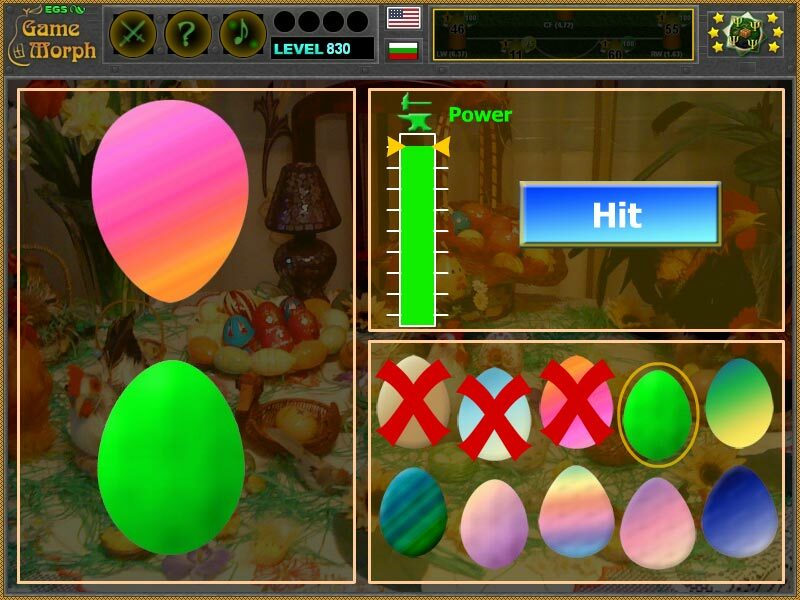 "Easter Eggs" is an interactive greeting card game to celebrate the Easter holiday in a fun way. Easter usually fall in early april, or the second week of april. A popular ritual is after the great Saturday to beat all friends and family with your favorite, strongest, decorated egg. Fun Easter game. There are 10 decorated eggs. Choose one and you will be presented to beat all 10 eggs, including a duplicate of your egg. Just hit the button when the power is at maximum. If you loose a round, you will just have to try it again. With Planeta 42 holiday games you can not loose, but just dely the winning. Beat all 10 eggs to win the game and get +1 Lore Level on planeta42.com website. 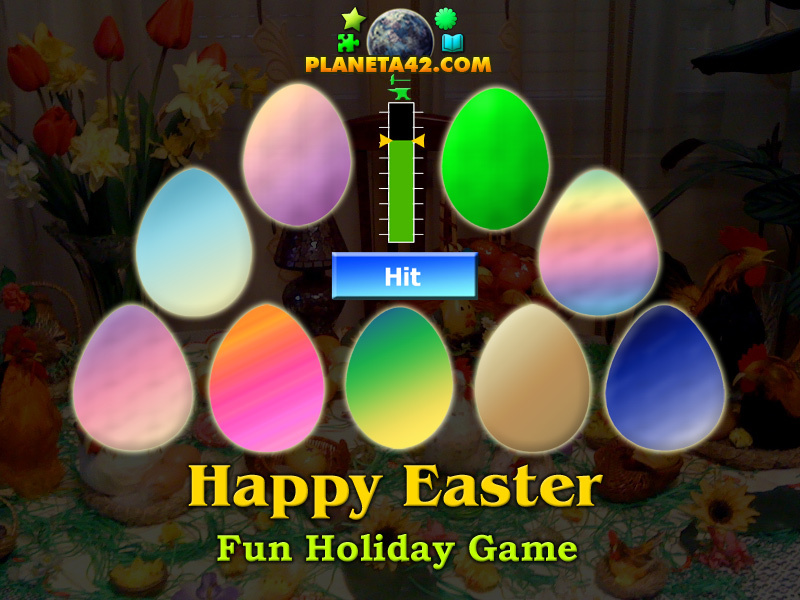 Labels: Easter Games , Games with Easter eggs , Tile Games , Flash Games , Holiday Games , Free Online Games.